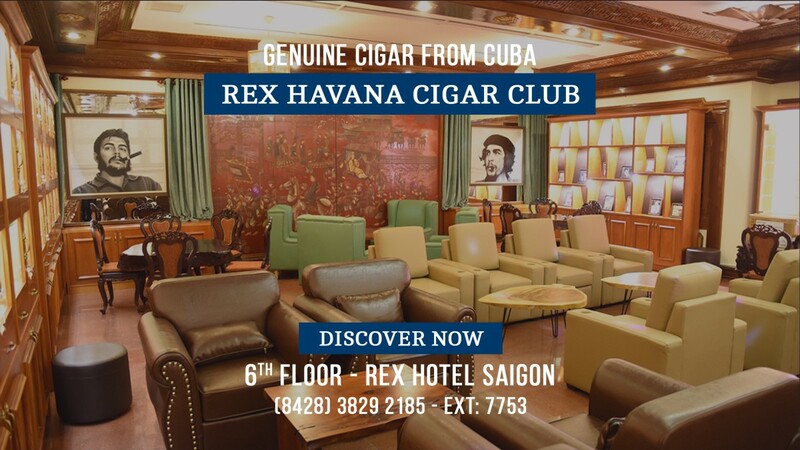 REX HAVANA CIGAR CLUB – THE NEW DESTINATION FOR YOUR GATHERING TIME! Rex Hotel Saigon had the Grand Opening for Rex Havana Club and it is ready to welcome the first guests visiting. This is the new destination where you can meet and gather with your friends for your talks, where you can open your relationships with many other people in a luxury and private space. The club is designed in a classic and royal style. Most of the space is covered with high-class wood, especially the furniture. The stand-out point is the big sofas with luxury real leather under the tender yellow lights. These makes the space become more elegant and luxurious. At Rex Havana Club, you will have an opportunity to experience the special products that not everyone has a chance to try. Rex Havana Club is located on the 6th floor of Rex Hotel Saigon with unique, elegant space and privacy guaranteed for the customers. Be the first to come and discover Rex Havana Club’s products and services!